This entry was posted on Wednesday 8th August 2018 at 2:13pm	and is filed under Daily Life, Musings, Teaching. You can leave a response, or trackback from your own site. 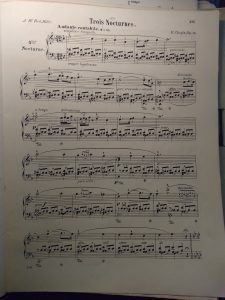 Fascinating to speculate how Chopin himself tackled this problem! This provoked a chuckle. How many times have I thought “that looks easy” only to try it and find out it’s not. Hope your fellow student’s persistence finally paid off.